Carmen-Greens Removals and Storage are a family owned and operated business that have been servicing Canberra and surrounding region for the last 35 years, and more recently, the NSW South Coast and Goulburn. Owners John and Paul Arnold and their staff provide a complete door to door relocation service with no subcontracting or rail transportation. This guarantees that your relocation is under Carmen-Greens control every step of the way, regardless of whether you're moving around the corner or across Australia. Carmen-Greens staff are all long serving permanent staff fully trained and accredited in all aspects of the removal industry. From the packing of fine china to the dismantling and re-assembly of your beds, we aim to provide a complete professional relocation service for our customers resulting in a stress-free, pleasant moving experience. Carmen-Greens have a modern fleet of five vehicles each specifically designed to cater for the unique demands of contemporary furniture relocation including airbag suspension, tail gate lifters, dust-proof packing blankets, lifting straps and trolley equipment meaning heavy and awkward furniture items can be moved safely and professionally with ease. John and Paul have vast experience in the industry and are happy to share this knowledge when it comes to planning your relocation. The best and most cost-effective way of planning your relocation is for John or Paul to visit your residence and provide you with a no-obligation free full written quotation. In inspecting your goods, we can supply an exact costing on all aspects of your move including packing of cartons, transportation of your goods, and dismantling and reassembly of furniture, insurance requirements as well as any other special needs or requests you may have, all with no other hidden costs or extras. To arrange for an onsite quote, please call John or Paul on 02 6299 1644. If you prefer, click on the 'Obligation Free Quotation' link, complete the online survey, and we will return an online quote to you as soon as possible. Carmen-Greens offer a comprehensive full packing service or if you prefer you can choose to arrange for Carmen-Greens to pack your delicate and precious valuables only. Alternatively, if you would prefer to pack all of your cartons on your own, Carmen-Greens will supply cartons, packing paper and tape to make the job easier for you. On the moving day we take care of all the extras, provide plastic covers for fabric items and portable wardrobes for your hanging clothes. The preparation of your furniture is carried out in your home, resulting in your precious belongings remaining secure, dust- and mark-free every step of the way. Carmen-Greens provide fire, flood and burglary insurance free of charge to all storage customers. Carmen-Greens have fully insured modern and secure storage facilities. Storage is available tailored to your specific needs from as little as weekly to a yearly basis and beyond. 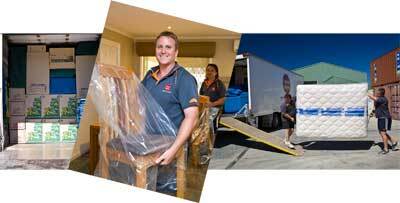 All of your items are wrapped and stowed securely avoiding any chance of scratching or damage. Plastic covers provided circumvent dust build-up on your goods. Inspections of our warehouse facilities are invited, please call us on 02 6299 1644 to arrange for an inspection of our warehouse facilities. 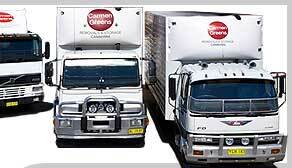 Carmen-Greens provide fire, collision and overturn insurance free of charge with all relocations. Carmen-Greens offers full marine transit insurance through Associated Marine Insurers. With our excellent claim history and valued reputation, the premiums remain very competitive and affordable. Carmen-Greens customers can contact Shannon Greenaway on 02 6257 7606 or via email shannon@mezzaninefinancial.com.au for any advice regarding your insurance requirements.